Biloxi, Mississippi– (Sun Herald) According to a report by The Sun Herald, one man is dead after an accident involving a vehicle and a semi-trailer. The accident occurred on Interstate 10, near the Woolmarket exit. A man who was driving a pickup truck in the left lane of the eastbound side of the highway attempted to cross all three lanes of the road. As he moved across the lanes, his truck struck the front bumper of a tractor-trailer and rolled over. As the pickup truck rolled, the driver was ejected. Another vehicle hit the pickup truck after it came to rest. The driver of the pickup truck was transported to a hospital, where he died from injuries he received in the wreck. No other serious injuries are reported to have occurred in connection with this crash, and an investigation into the accident continues. No report has been made regarding whether the driver of the pickup truck was wearing a seatbelt. While wearing your seat belt does not guarantee that you will not be ejected from the vehicle you are driving or riding in, in the event of a crash, it does drastically reduce the risk of ejection. You are thirty times more likely to be ejected from a vehicle in an accident if you are not wearing a seatbelt, as compared to if you are wearing a seatbelt. Very few people who get ejected from vehicles in car accidents survive. Those who do survive being ejected from a car are often left with severe injuries that take a long time to heal. Sometimes, they are even permanently injured. Any time you can do something to reduce ejection risk, it is vital that you do it. Preventing ejection is one of the primary ways that seatbelts save lives. Giddens Law Firm, P.A. has built an exceptional reputation throughout the state of Mississippi for relentless pre-trial preparation, case investigation, and use of the latest technologies, resulting in many significant jury awards and verdicts in all types of serious injury and wrongful death cases. Unlike many law firms that value volume and profit over client results, Giddens Law Firm, P.A. refuses to take more than a few serious personal injury, truck accident and wrongful death claims each year. 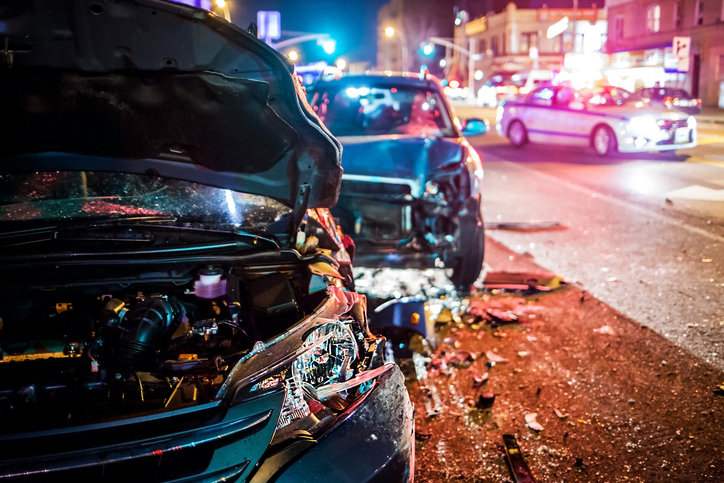 This enables our fatal car accident lawyers in Jackson, Mississippi to focus more time and resources on each case in order to yield the best possible result for our clients.